A few days later, a Watertown man was the victim, struck by a Toyota SUV at the intersection of Watertown Street and Aldrich Road. Then in Boston, the Memorial Day weekend ended with a fatal pedestrian accident on Tremont Street in the South End. As we start summer, more people will be outside walking and everyone wants to stay safe. With a little planning, we can all drive safely this summer. Slow Down. Under state legislation passed last year, Massachusetts cities and towns have the authority to reduce default speed limits from 30 to 25 mph. Boston, Cambridge, Medford and Quincy are among those which have dropped speeds. Take it slow. Lower speeds give you more time to respond and prevent injuries. If there is a car crash, the impact may be less. 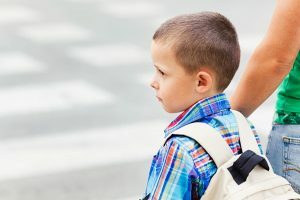 According to the Active Transportation Alliance, if a pedestrian is struck at 40 miles per hour, the pedestrian has an 80 percent chance of dying. Reduce the speed to 20 miles per hour and there is a 10 percent chance of death. No Distractions. Never use cell phones or electronic devices while driving. Give the road your full attention. If you are a parent, remind your teen about the dangers of distracted driving and the law. In Massachusetts, it is illegal for drivers under 18 to text or use cell phones and they could lose their driver’s license. GPS Detours. Local police and communities are on to drivers who use GPS apps to find short-cuts. While it is perfectly acceptable to use these apps, remember that these detours typically lead to local roads. Unlike I-128 and I-93, you can expect pedestrians, cyclists, school buses and police officers who are monitoring traffic for speeding and violations. Read about stepped up patrols in the city of Quincy. Crosswalks. Drivers should always stop for pedestrians in crosswalks and provide them with adequate time and space to safely cross the road. Drivers behind you are also required to stop. Parking Lots. Always watch for pedestrians in parking lots. Last February, an employee at Trader Joe’s in Acton was hit by a SUV backing out of a space outside the grocery store. She died on the scene, just minutes after finishing her shift and preparing to head home for the day. Summer Festivals. When possible, carpool or walk to concerts and summer festivals. Drivers can be impatient, increasing the likelihood of a crash. No Driving and Driving. Don’t drink and drive. Driving and driving is against the law and you have zero ability to watch out for pedestrians if you under the influence. Be Rested. Many drivers leave their Cape Cod or New Hampshire vacations early or late to avoid the commute. Make sure you are properly rested. The Boston personal injury lawyers at Breakstone, White & Gluck have over 100 years combined experience representing those injured and killed in pedestrian accidents and car crashes in Boston, Cambridge and across Massachusetts. If you have been injured, learn your rights. For a free legal consultation, contact us at 800-379-1244 or 617-723-7676 or use our contact form.